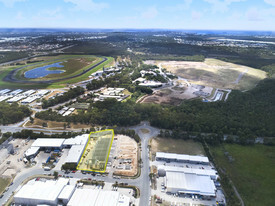 An opportunity to purchase a tenanted investment property on Queensland's Sunshine Coast. Located under the Shearwater Resort at Kings Beach, home to the Sunshine Coast's ultimate coastal lifestyle. Currently leased to Frocals and is a source for fresh and local produce, juices, smoothies, ice cream and an expresso bar. - A highly desirable location with the current owners committed to sell. Affordable, Vacant Shop o.. Price: Sale | Offers over $240,0..